Mel was born March 24, 1948 in Cincinnati to Cincinnati Firefighter Melvin Harry and Rita A. (Doerner) Henze. He attended St. Catharine of Sienna School starting in 1954 and graduated from LaSalle High School in 1966. While attending high school and after graduating, Mel worked at David’s Buffet at Glenway and Bridgetown as a Bus Boy from July 1965 to April 1967. Then he took a fulltime job as a steel fabricating helper at Bishopric Products on Kings Run until April 1968. Mel was drafted into the United States Army on April 26, 1968. After basic training, he attended Machinist School. Six months later, he was shipped to the Vietnam War, assigned to the 551st Light Maintenance Company, Black Horse Base Camp, in Long Giao, Vietnam. Specialist 5 Henze was honorably discharged on December 14, 1970 with a Good Conduct medal. He returned home and to Bishopric Products. Two months later, on February 28, 1971, Mel joined the Cincinnati Police Division as a Police Recruit. On June 27th, he was promoted to Patrolman, issued Badge 279, and assigned to District 1 (310 Lincoln Park Drive). Almost immediately he began building a reputation; catching burglars, robbers, and murderers; involved in chases and shootings; and generally impressing district, bureau, and division commanders. His shooting skills were such that he was invited to compete with the Cincinnati Police Pistol Team. 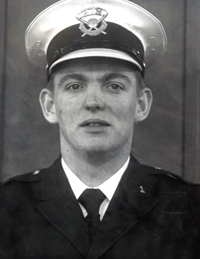 During the Christmas Season of 1978, in recognition of his service, District Commander, Captain Howard Espelage, assigned him to the prestigious Robbery Task Force. By 1979, Officer Henze had served his country and community for 10 years and had received 14 letters of appreciation and/or commendation. When he went to work on May 5, 1979, he knew it would probably be his last day in uniform. Captain Espelage had determined his meticulous nature and tenacity had earned him a desk in the District 1 Investigative Unit and his transfer would be effective on May 6th. If he did a respectable job, he would probably stay there until promotion or retirement or transfer to Criminal Investigation Section. Also, it would be a “short” day, because he had requested to take off the last two hours, using his accrued court time, so that he could meet vacationing police officers for an annual trip to Nashville, Indiana. At roll call that morning, the sergeant informed the relief about a shooting at a pool hall the night before. Percy Wilson was born on November 21, 1951 to Robert Lee Wilson of Decatur, Georgia and Lola M. Chatman of Cincinnati. We can find no account that describes a poor upbringing, but he entered adulthood with criminal fanfare. When he was 21, he was charged with unlawful use of a hallucinogen and felony possession of a narcotic. By May 1979 he already had twenty contacts with police, including; Resisting Arrest, Obstruction of Official Business, Falsification, Theft, Felonious Assault, Assault, Pointing Firearms, and possession of drugs and hallucinogens. When adding sentences separately, one might conclude that Wilson would be in jail until his 50s; but at 27, he was free and living on the 1st Floor of 136 Mulberry. He had also been estranged from his family, divorced, and had recently quit his job. During the last week in April, Wilson purchased a .25 caliber pistol – he said because in his new job he would be handling a lot of cash. He also showed off a stack of $100 bills to neighbors. On May 4, 1979, at a pool hall located at 320 W. 15th Street near Central Avenue, one block from the rear of District 1, Wilson and female impersonator, Vickie Clayton, engaged in an argument over eight dollars. Wilson left the pool hall threatening to return and “shoot somebody.” Fifteen minutes later, he returned with a pistol, pointed it at Clayton, and pulled the trigger several times. The gun failed to fire because he had forgotten to chamber a round. He left, returned minutes later, and fired several shots; missing Clayton, but striking an innocent female, Yvonne Carr, in the leg. District 1 officers searched for Wilson throughout the night. When the sergeant read from the offense report at roll call on the 5th, Officer Henze determined to find Wilson. He knew Wilson on sight and how dangerous he could be. He spent most of the morning looking, but to no avail. Knowing he was due to leave soon on his vacation, he met with fellow officers at 1427 Walnut Street and gave them all the information he had developed. Already late for his one o’clock dismissal and walking into the back entrance of District 1, Communications broadcast that Wilson had again returned to the pool hall. A patron called the police and said that Wilson pointed the gun at him saying, “I will kill anyone who messes with me.” Officer Henze decided to put off his dismissal a little longer and renewed his search. He spied Wilson getting into an automobile, called for backup assistance, and turned his patrol car around; but when he came back to the spot, the car was gone. He broadcast the description of the car. District Four Police Officers Gregory Snider and Kenneth Zinser heard the all-channel broadcast, spotted the car, and pulled it over on East McMicken just east of Vine Street. Wilson was no longer in the car. When questioned, the occupants asserted that they had kicked Wilson out of the car when they realized he was armed. Officer Henze renewed his search. Not long thereafter, about 1:30 p.m., he spotted Wilson, on foot, heading for Naeher Alley off Colerain Avenue. Again, he pursued in his cruiser and again he asked for backup assistance. Officers were on the way. Officer Henze drove slowly east through the alley with one hand on the steering wheel and one on his radio microphone. His Division-issued Smith and Wesson Model 10 .38 Special revolver was lying on the seat next to him at the ready. Suddenly, at 1025 Naeher Alley, at 1:38 p.m., Wilson popped out from a recessed entryway, went to the cruiser’s open window, and shot Officer Henze five times with a .25 caliber semiautomatic pistol; striking him in the neck, chest, and back, one of which went through his heart. The dying officer called for help, but all fellow officers heard was a garbled transmission. None yet knew he had been shot. Police Officer Nicholas J. “Nick” Misch had responded from the pool hall where he had been making the report on Wilson’s last visit. He drove west on Naeher Alley and seeing a cruiser already there, turned left on Freeman and right on York, and saw Wilson at Kimpel Alley. Wilson saw Misch, turned around, and started running back north on Kimpel toward Naeher. Officer Misch was blocked by two cars parked in the alley and stopped his car to pursue on foot. Wilson turned and pointed his pistol at Misch and Misch fired two shots at him awkwardly from inside his car. Both shots were low and skipped off the pavement on either side of Wilson. Wilson turned the corner, tripped, and fell on Naeher Alley, and lay there as if incapacitated. When Misch ran up to him, he kicked the pistol out of Wilson’s hand and put it in his pocket. He put handcuffs on Wilson and saw Officer Henze down the alley lying next to and underneath his cruiser. Police Officers Norman Wesley “Wes” Sullivan and Paul F. Muenchen came west through the alley from Freeman. Misch warned them that Wilson was only acting dead and ran to Officer Henze. Sullivan and Muenchen took control of the prisoner, who now stopped playing possum, kicked Officer Muenchen in the face, and began to fight. The officers were able to subdue him in short order. Officer Henze was transported to General Hospital. Police Officer Ron Oliver and a sergeant responded to his home at 4155 Hanley Road, picked up his mother, and brought her to the hospital. Her husband was already there, and they walked in together and were met by District 4 Sergeant Joseph W. Hall who informed them that their son died at 2:28 p.m. After they visited with their son, Officer Donald Bruce Maxwell transported his remains to the Hamilton County Morgue. Officer Henze was survived by his grandmother, Gertrude Henze; parents, Cincinnati Fire Captain Melvin H. Henze (Retired) and Rita A. (Doerner) Henze; daughter, Kathleen Ann (Kate) Henze (5); sisters, Patricia (Robert) Fasbender and Marie (Sergeant Joseph S.) Koch, and brother-in-law, Police Officer Guy Engelbert. Visitation was held 5 p.m. to 8 p.m. on Monday, May 7, 1979 at the Bolton Lunsford Funeral Home on Harrison Avenue. An FOP Service was held at 7:30 p.m. A Mass of Christian Burial was to be celebrated by Archbishop Joseph L. Bernardin at 10 a.m. on Tuesday, May 8, 1979 at St. Catharine Church. As the hearse arrived, a police contingent, seven-men deep, stretched for half a block. Behind them were St. Catharine students with their hands over their hearts and dressed in similar fashion as Officer Henze had dressed while attending the school 25 years before. Officer Henze was escorted by hundreds of officers and cruisers to St. James Cemetery on Hubble Road where he is buried. The next day, overtly liberal Cincinnati City Council members were interviewed. Tecumseh X. Graham called for the registration of all guns, likening them to dog licenses. Mayor Bobbie Sterne said we should have handgun control saying that it should be illegal to possess them. Safety Director Richard Castellini told reporters that the use of a balistic vest, “in all probability” would have helped Officer Henze. Also on May 6th, Wilson was charged with Aggravated Murder (of Officer Henze) and Attempt Aggravated Murder (of Officer Misch) and Aggravated Assault for his shooting of Carr on the 4th. On May 7, 1979, the Hamilton County Prosecutor Simon Leis, Jr., determined to seek a direct indictment in front of the empaneled Grand Jury. The Grand Jury, on May 9th, came down with a 7-count indictment ranging from Aggravated Assault to Aggravated Murder. He was arraigned on the 10th in front of Judge Rupert Doan. His attorney, Leslie Isiah Gaines, Jr. advised the judge that he would enter a plea of insanity. After examinations by three psychologists, none agreeing as to a diagnosis, but three determining that he could not stand trial, Judge Doan on June 26, 1979 ruled that Wilson would be placed in a drug treatment program in the hopes that he would come out of that with sufficient mental capabilities to stand trial. Having done so, Judge Doan ruled on the 1-year anniversary of the murder, May 5, 1980, that Wilson was competent to stand trial. After another hearing demanded by Gaines, Judge Doan again ruled Wilson was competent and set a trial date for November 17, 1980. The trial did not actually start until February 9, 1981 and before another jurist, Judge Donald L. Schott. After 2½ weeks of courtroom antics, including a finding of Contempt of Court against Gaines, the case finally went to the jury on February 26, 1981. The next day, after 14 hours of deliberation, the jury came back with a finding of guilty of seven charges; but the most serious being Murder, not Aggravated Murder. On March 6, 1981, Judge Schott sentenced Wilson to serve 20 years to Life. Wilson had a parole hearing during 1996 and was denied; and again in 2001 and 2006. He was scheduled for another on September 30, 2011 but died in custody from natural causes on August 13, 2011. Officer Henze’s death marked the 9th Cincinnati officer to die by gun violence in 7 years, the 8th in 5 years, the 5th in 10 months, and the 3rd in 2 months. The combined 100+ law enforcement agencies in the Greater Cincinnati area had not experienced this sort of carnage among its law enforcement officers since Prohibition. No other city in the country had as many officers killed during these years. New York lost three officers in three years; Chicago and Los Angeles each lost one officer to that point in 1979. During the same seven years that Cincinnati lost nine officers, staff studies were conducted, reports were written, requests were submitted, and officers and concerned citizens pleaded with administrators and politicians to equip Cincinnati officers with modern patrol cars, shotguns in the cabs, better performing side arms, and bullet-resistant vests. Exacerbating these issues was a predominant perception that members of City Council were – and had been since the riots of the late 1960s – antithetic to law enforcement. Then, during 1975, City Council eliminated the extremely successful Police Cadet program. During 1976, they laid off 124 more police officers. Four of the nine violent deaths occurred after these lay-offs. Another officer, one of those laid off, John Bechtol, lost his life as a Delhi Township Police Officer. Then they closed the Police Department’s Target Range, asserting budget and safety concerns, and thereby relegating police officers’ defensive proficiency to a distant 3rd in terms of priority. So, when the military veteran, expert pistol shot, and highly respected Officer Mel Henze was shot to death, emotions erupted, and Cincinnati Police Officers reacted by staging a one-day sick-out which they called a “Stress Day.” On May 7, 1979, after they buried Officer Henze, almost every Cincinnati police officer and some sergeants went home returned to work the next day. The city was patrolled in the interim by supervisors and commanders – without incident. Also on May 7, the first business day after the murder, the Cincinnati Council’s finance committee approved spending $300,000 for bullet-resistant vests, spotlights, and improved emergency lights. Furthermore, Safety Director Richard Castellini recommended fixing and re-opening the Target Range. These would be put to a vote by City Council on Wednesday, May 9. Hundreds of officers filled the City Council chambers to petition them to redress their grievances. Eventually, City Council approved an increased complement of officers, repair of the Target Range, bullet-resistant vests, ballistic clipboards, .357 Magnum revolvers, 5-cell flashlights, shotguns in the cab, and modern patrol cars with light bars, screens separating the prisoners from the drivers, mounted spotlights, air conditioning, and power steering. While several local law enforcement agencies had already upgraded their officers’ equipment, almost all did so after Officer Henze’s death. No law enforcement officer was killed by gunfire in the Greater Cincinnati region during the next eight years and only seven during the next 39 years. If you have information, archives, artifacts, or images of this officer and/or incident, please contact the Greater Cincinnati Police Museum’s Memorial Committee at Memorial@Police-Museum.org. © This narrative was researched and revised on April 28, 2018 by Cincinnati Police Lieutenant Stephen R. Kramer (Retired), Greater Cincinnati Police Museum Memorial Committee Chairman, with first-hand accounts from Cincinnati Police Officer Nicholas J. Misch (Retired), Cincinnati Police Specialist Richard W. Gross (Retired), Greater Cincinnati Police Museum Curator, and Cincinnati Police Captain Gregory K. Snider (Retired). All rights are reserved to them and the Greater Cincinnati Police Museum.